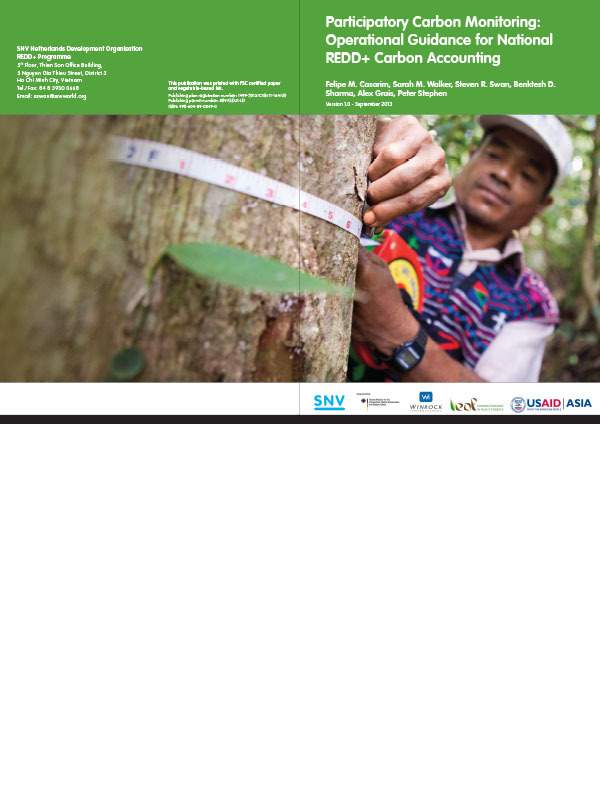 This guidance document is an output of the project ‘Delivering Multiple Benefits from REDD+ in Southeast Asia’ (MB-REDD), implemented by SNV – The Netherlands Development Organisation in collaboration with the ‘Lowering Emissions in Asia’s Forests’ (LEAF) project. The MB-REDD project is part of the International Climate Initiative. The German Federal Ministry for the Environment, Nature Conservation and Nuclear Safety supports this initiative on the basis of a decision adopted by the German Bundestag. LEAF is a five-year cooperative agreement, funded by the United States Agency for International Development’s (USAID) Regional Development Mission for Asia (RDMA). LEAF is being implemented by Winrock International (Winrock), in partnership with SNV, Climate Focus and The Center for People and Forests (RECOFTC).